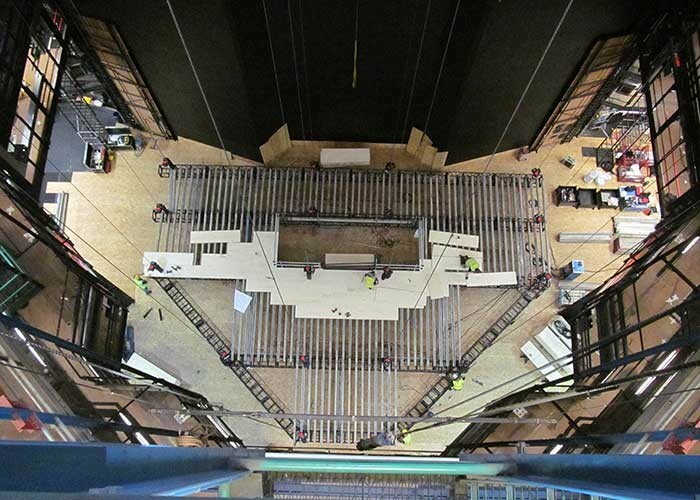 When the Barbican Theatre in the Barbican Centre Arts Complex closed its doors for a major 15 week overhaul in May, Unusual Rigging was brought in to put together an access platform to enable the replacement of the entire grid. Originally a lyric theatre, and long term home to the Royal Shakespeare Company, the theatre is now called upon to host a far greater range of international touring productions as well as its own in-house productions. 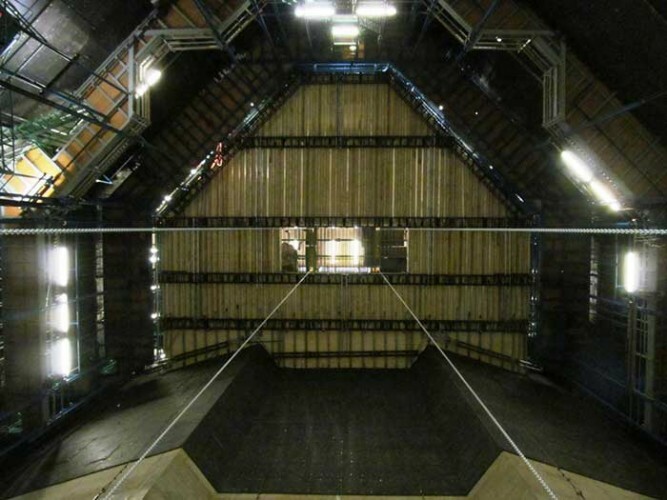 As such the entire flying grid and system needed replacing to keep up with the growing demands placed upon the theatre’s technical team. With the project commencing at the end of May this year, the Unusual team, working with Trekwerk, quickly came on board during the first week of June and under a tight deadline of just three days, created a temporary grid on the underside of the deck, suspended by hoists from the ceiling. 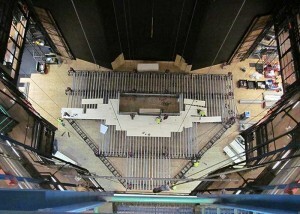 In picture: Looking down from the grid at construction of the access platform; View of the underside of the access platform.